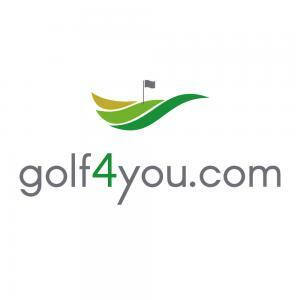 golf4you is excited about its first follow-up round of financing! A strategic investor acquires 5% of golf4you GmbH's shares. With a current company evaluation of €3 million, this corresponds to an investment of €150,000. The investor is active in the golf and golf travel industry and has great connections as well as their own branches in Europe, Africa, and Asia. Due to reasons that have to do with the competition, the investor wishes to remain unnamed at this point in time. However, for the sake of transparency, we feel that it's important to inform you that this investor is a business partner from our network. Regardless of this fact, the investor became aware of the Companisto campaign and showed interest in a direct investment in golf4you. Soon after being contacted, we entered negotiations and successfully arrived at an agreement. One of the investor's representatives had the following to say about the planned investment in golf4you: "We were immediately able to see the potential in golf4you, as we've been active in the golf travel industry for many years. One-stop golf booking is the future of golf travel. Everyone would like to make this happen, and golf4you has a clear head start in the game. Our investment has a strong strategic component to it." We see this recognition from an industry insider as a clear confirmation of our business model. The investment has the potential to develop into a strategic partnership. The investor's promising situation within the Asian market also bodes well for interesting cooperative approaches. This new investment is an additional positive development for our project. Information on the effeacts that this investment will have can be found in the closed investor area. Companists have until mid-April to get on board with gofl4you or increase their previous investments.